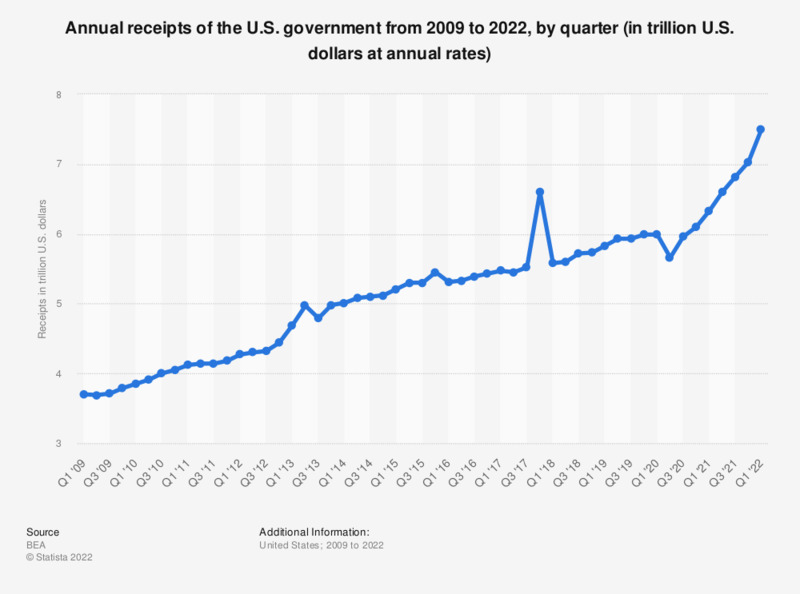 This graph shows the total annual receipts of the U.S. government from 2012 to 2018, by quarter. The total annual receipts of the government added up to about 5.62 trillion U.S. dollars in the fourth quarter of 2018. Total receipts consist of current receipts + capital transfer receipts.